In a move that’s sure to stir controversy far beyond the borders of California, federal officials have announced that henceforth, fledgling Peregrine Falcons won’t be relocated from nests built on bridges in the state. The move, which seems limited to just California, is meant to protect endangered shorebirds which have become favorite meals of the raptors. But it also means that some baby falcons are likely to plunge into a watery grave. The ruling was handed down by the U.S. Fish and Wildlife Service, which granted permits to rescuers who moved Peregrine chicks away from bridges, more precarious spots than cliffs or buildings for young just learning to fly. Officials explain that the falcons sometimes prey on California Least Terns and Western Snowy Plovers, birds with dwindling numbers. 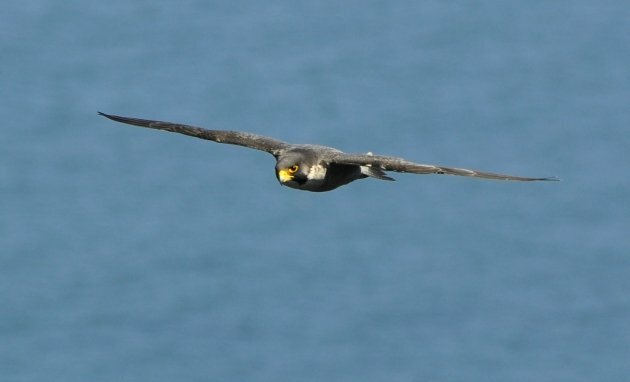 The idea that is refraining from going to extraordinary lengths to rescue Peregrines may help other bird populations recover. But some wildlife researchers note that just 40 years ago, less than a dozen Peregrines inhabited California, and the U.S. total was roughly 100 birds. Populations have rebounded to about 2,000 in the state and 10,000 nationally, and the birds are popular with people. Aside from the public’s distaste at letting baby Peregrines fall and drown, supporters suggest another reason for maintaining the rescues—that they’re largely carried out with private funds. 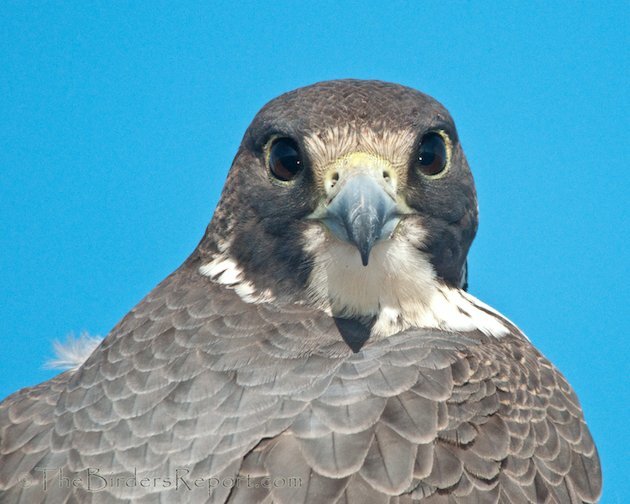 So far, USFWS hasn’t announced similar bans in other Peregrine hotspots. And they point out that sometimes, endangered species rebound so strongly that they endanger other species (such as Golden Eagles which decimated the population of Island Foxes in California’s Channel Islands). Birders love cute shorebirds, but they also love amazing raptors. What do you think? Luckily, the Peregrine Falcons that Felonious Jive saw at Santa Cruz Island nest on cliffs, not bridges. I’ve followed the San Francisco Peregrine conservation situation for years now. It’s unbelievable to me that USFWS denied the relevant permits to Glenn Stewart and Santa Cruz Predatory Bird Research Group. Their decades-long expertise and involvement with local Peregrines is undeniable and should take precedence. Once again, agencies appear to be scapegoating one species, the falcon, in the face of much greater anthropogenic causes of mortality for the threatened tern and plover species (e.g. habitat destruction). I still hope that with public pressure and sound reflection, there will be a more positive resolution which allows for these rescues to continue next year. I’m surprised to read that this is an issue in California. In New York City, Peregrines have been nesting for years on at least three bridges–the Throgs Neck, the Marine Parkway-Gil Hodges Memorial, and the Verrazano-Narrows. The MTA, the agency in charge of the bridges, has partnered with city and state environmental agencies; they provide nesting boxes, which help prevent the eggs from falling and band the babies.